Cleans gently and moisturizes baby's skin. 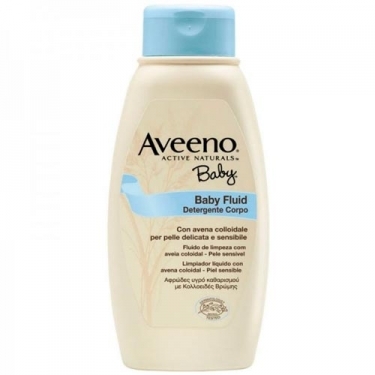 DESCRIPTION: Baby Fluid from Aveeno is a fluid that helps clean, moisturize and soothe sensitive skin daily. Formulated with naturally active colloidal oats, this gentle cleansing lotion has been specifically formulated for baby's sensitive skin. The texture of colloidal oats and their beneficial components such as proteins, lipids and saponins make it suitable for use in moisturizing creams, cleansing gels and other products that help to clean, smooth and protect the skin. High tolerance, without soap. Mix 2 tbsp in water before placing the baby. Rinse gently after use. Massage on wet skin until smooth and then rinse.